The Scaffold Law was the subject of dueling rallies at the capitol Tuesday. The measure relates to insurance for construction sites. And it’s long been a target of developers and business groups who say it drives up costs of both public and private projects. But not everyone is convinced that the Scaffold Law is too blame for high insurance costs. 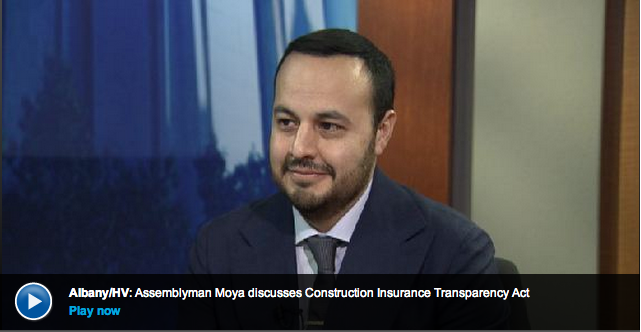 Assemblyman Francisco Moya introduced the Construction Insurance Transparency Act in the hopes of learning more. He joined us to discuss. Click here to watch Assemblyman Moya’s interview with Capital Tonight about his proposed Construction Insurance Transparency Act and the Scaffold Safety Law.